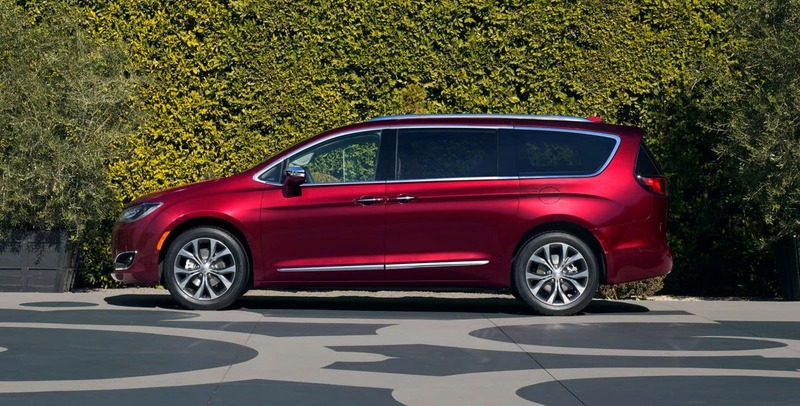 The 2018 Chrysler Pacifica has quickly become a favorite among car critics and families alike, with its sophisticated ride quality, powerful engine, and impressively sporty design. 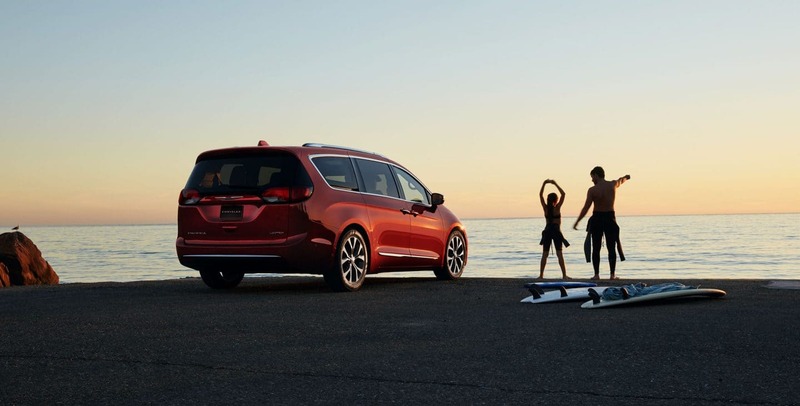 The Pacifica manages to be functional without sacrificing style and driver-satisfaction, and the wide range of new 2018 features make it a top choice for families everywhere. Is anything new for 2018? 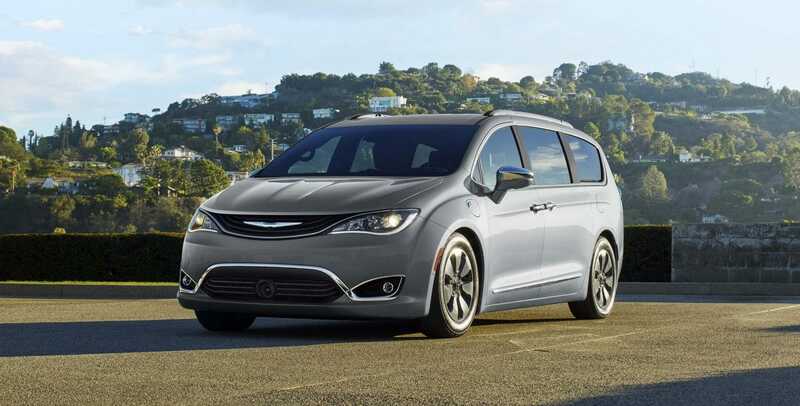 Even though the Pacifica was released as an all-new model for 2017, Chrysler has added a wide range of new features for 2018 to further cement it as the best minivan on the market. There is a new base L trim and an upgraded standard Uconnect infotainment system with Android Auto and Apple CarPlay. 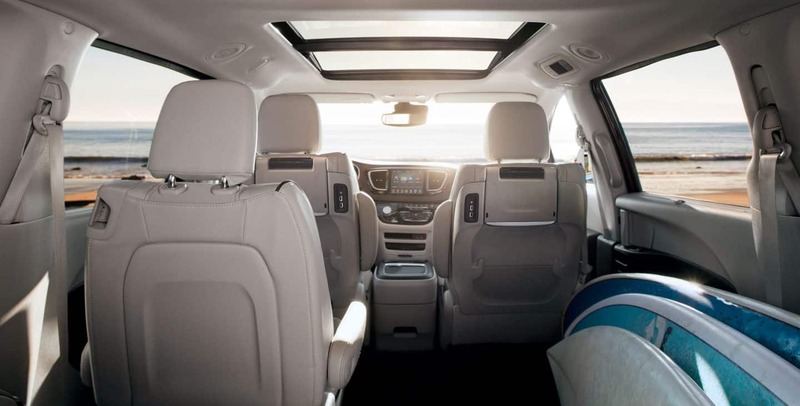 The rear-seat Uconnect Theater system now offers streaming functionality for Android devices, and the Pacifica's optional navigation features 4G LTE Wi-Fi connectivity. Chrysler has new standalone equipment options for the various trims, like a 20-speaker sound system with the Limited trim, and a panoramic sunroof for the Touring L Plus trim. These are just some of the great features for 2018! What are the powertrain options for the Pacifica? Chrysler offers two dynamic powertrain options, the first being a traditional gas-powered configuration, and the second being a hybrid. 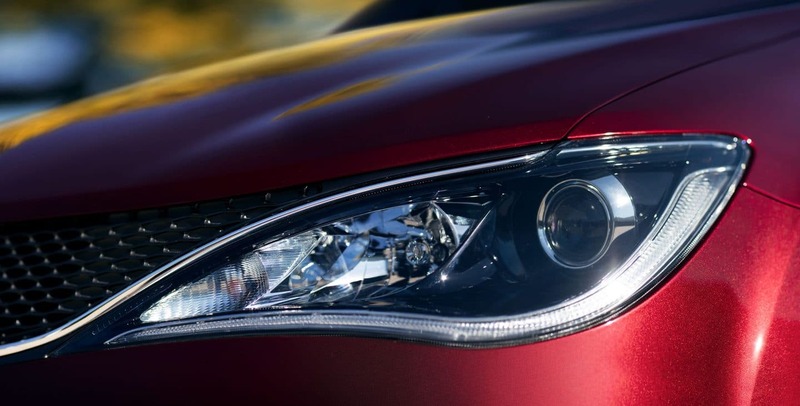 The standard Pacifica has a 3.6-liter V6 engine which has 287 horsepower and 262 lb-ft of torque. The engine is one of the best on the market, offering smooth power for the highway, city, and country. It is linked to a nine-speed automatic transmission and a front-wheel drive system. The optional Pacifica Hybrid model utilizes a 3.6-liter V6/dual-electric motors and a 16kWh battery that delivers 260 total system horsepower. 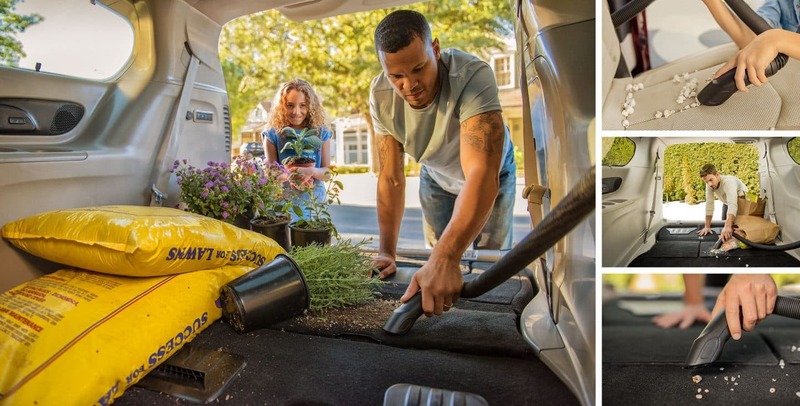 The Pacifica Hybrid provides a combined mpg city/highway rating of 84 MPGe, and it is the most fuel-efficient minivan on the market. Are there many trims to choose from? The Pacifica is available in six main trim levels for 2018, including the new base L trim level. This fantastic trim level is equipped with a wide range of features both inside and out, offering a sophisticated experience at an affordable price point. The L is equipped with features like Apple CarPlay and Android Auto, dual-zone climate control, a 7-inch touchscreen, Bluetooth, and driver assistance systems like blind-spot monitoring, a rearview camera, rear cross-traffic alert, and rear parking sensors. The other trim levels available include LX, Touring Plus, Touring L, Touring L Plus and Limited. The Pacifica Hybrid is considered a separate model, but it is available with the Touring Plus, Touring L, and Limited trim levels. 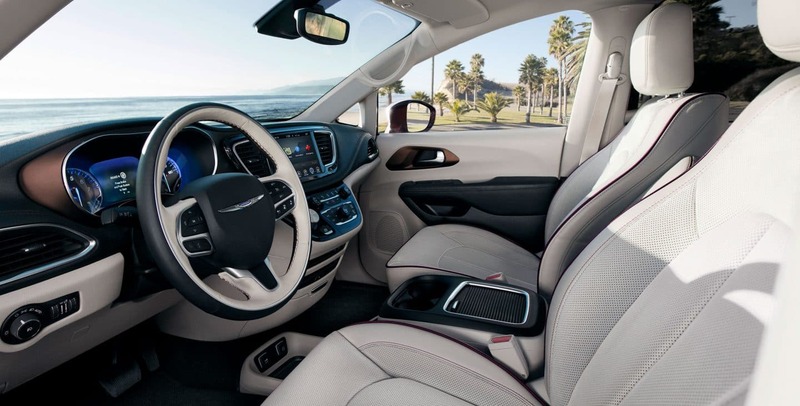 Every Pacifica is equipped with a Chrysler KeySense system, which has been crafted with valets and teenage drivers in mind, as it sets parameters on volume and speed, and offers support through various means. 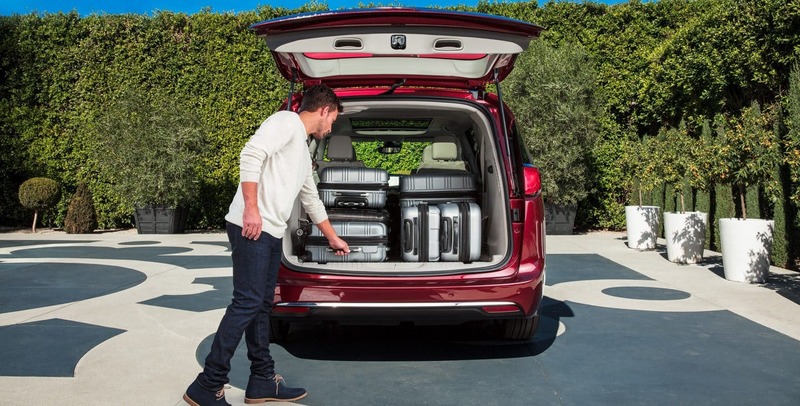 The 2018 Chrysler Pacifica is truly a fantastic minivan, and it delivers a performance that is truly unmatched on the market. It is family-friendly, fun-to-drive, and equipped with a great range of driver assistance systems. 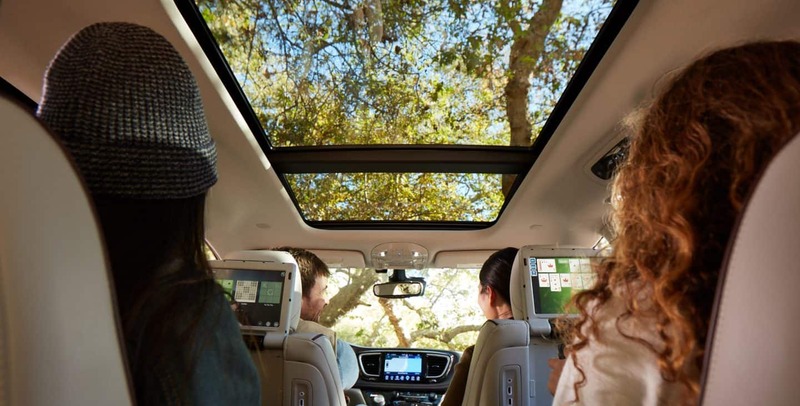 If you would like to learn more about the spectacular new 2018 Chrysler Pacifica, contact us today at East Hills Chrysler Jeep Dodge RAM!